To avoid pain in muscles and injury, develop a training program with weights gradually. During the first training run just one set to each of the exercises. Continue only one set to exercise in the first week of training with light weights. During the first month also do ano set to each exercise. Stick to the rules of one set to each exercise and gradually get to two full sets (in the second month!). Athletes with a good initial physical condition can do the full program from the beginning of the third week. If you feel that you need 4-8 weeks for the full program, give yourself time. Do not try to perform more sets as your strength and endurance level will not increase sufficiently to carry a greater load. Be careful building the weight burdening in any exercise in the first three weeks of the workout. 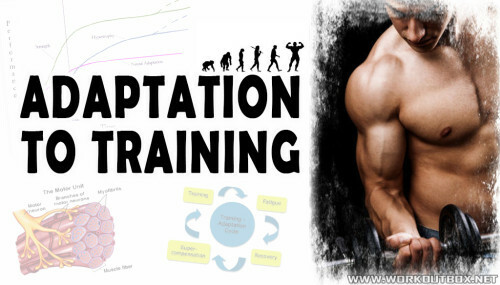 Too hasty increase in the number or weight burdening sets will inevitably lead to improper development of the technique of exercise that can lead to injury and unbalanced development. Each time, starting a new program, you should give yourself a week to get used to the new training load. If you follow these guidelines, the muscle pain will be minimal, and you will achieve a rapid progress towards a composition of forces, which you are aiming for.